Have you considered getting your GED? Do you wish that your reading and math skills were higher? Do you struggle in your occupation due to your math and reading level? Have you considered getting your GED? Do you wish that your reading and math skills were higher? Do you struggle in your occupation due to your math and reading level? If so, The Literacy Council instructors at the TCC would love to help! Come to study and prepare to take your GED test, HiSET test, or to simply boost your math and/or reading skills! Call (717) 687-9594 today to learn more. Open Door Nights are fun, upbeat, and a safe place for students to hang out and connect with one another. Students will explore the six major resources; physical, emotional, spiritual, intellectual, financial, and relational, alongside dedicated staff and volunteers. Dinner is provided each week! Join us for a time to creatively care for our community. Whether you enjoy crafting and writing cards, or would rather sip coffee and enjoy the conversations, you are welcome here! We have fun working on optional projects together, playing games, and enjoying one another’s company. For more details or to find out how you may be involved, call 717-687-9594. Join us for the 8th Annual Together Run, Ride, Walk event on Saturday, June 15! Click here to register! 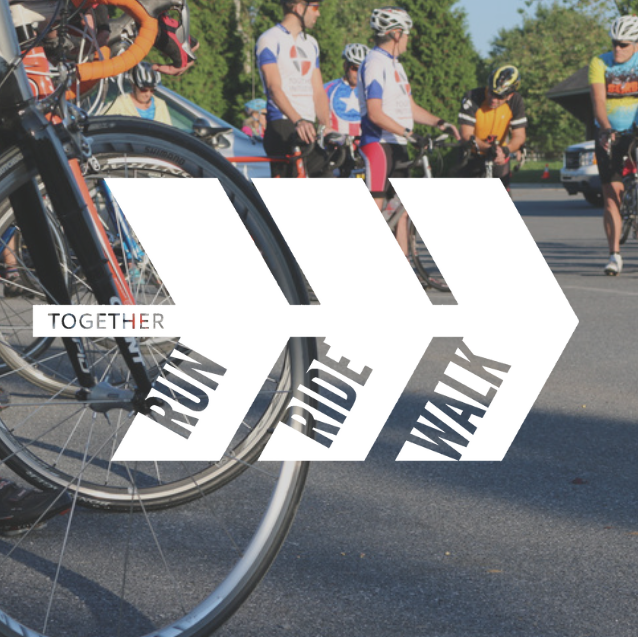 Join us for the 8th Annual Together Run, Ride, Walk event on Saturday, June 15!